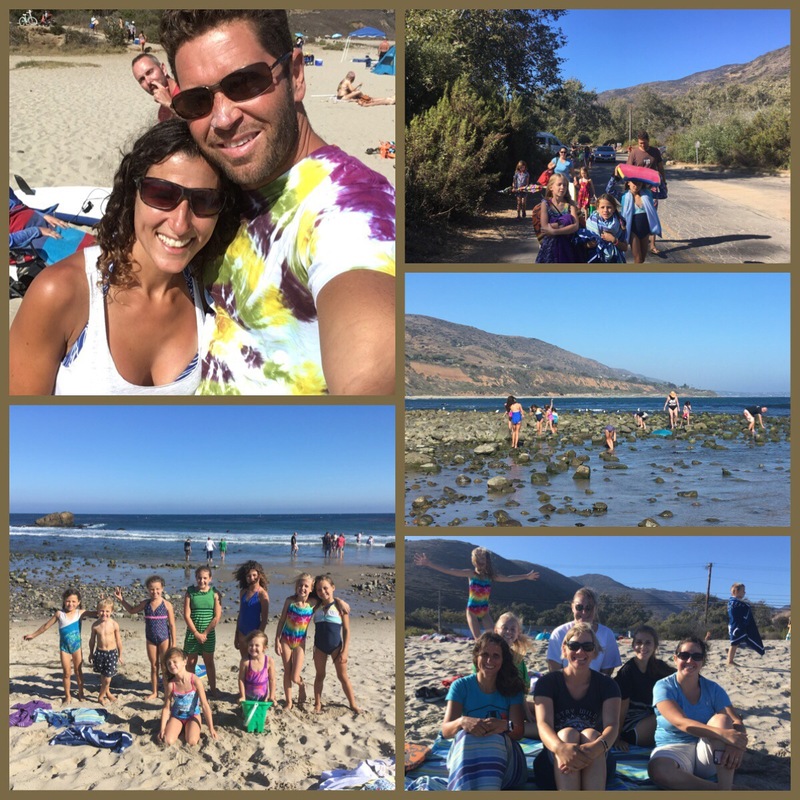 August 7th- August 11, 2017: We left at 2 a.m. to head on down to California (Leo Carillo- Malibu, California). 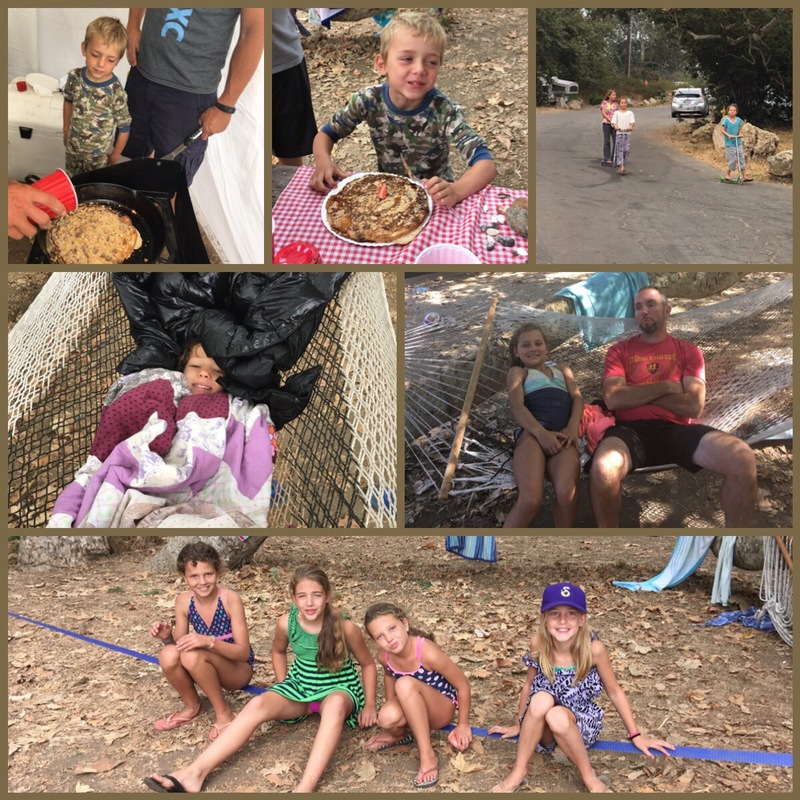 We caravaned with the Fullmer’s and the Thompson’s. 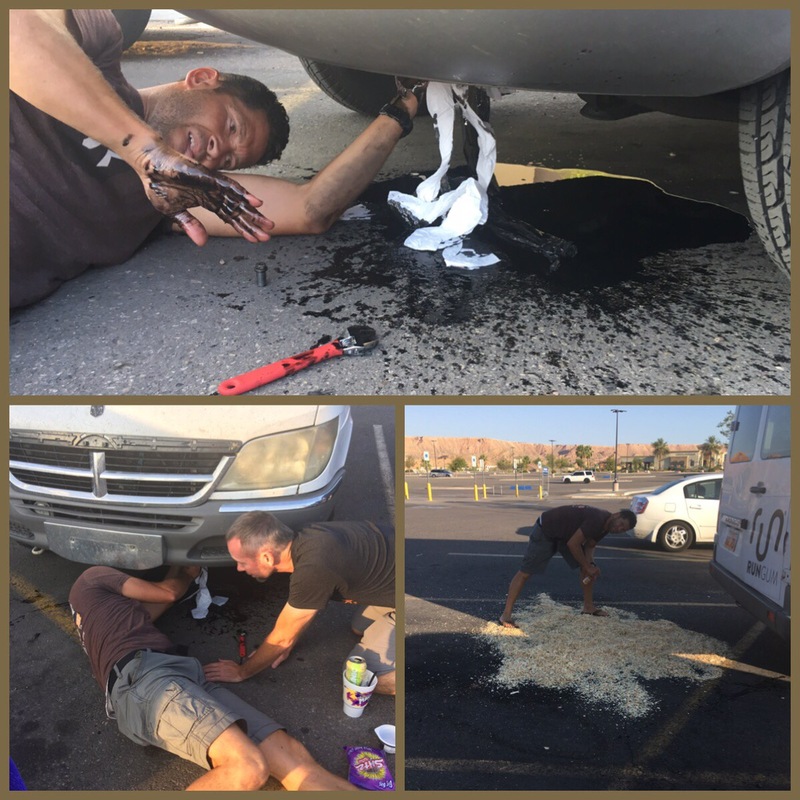 We had a little mishap on the way down but nothing that we aren’t used too… We finally arrived at our campsite around 3. 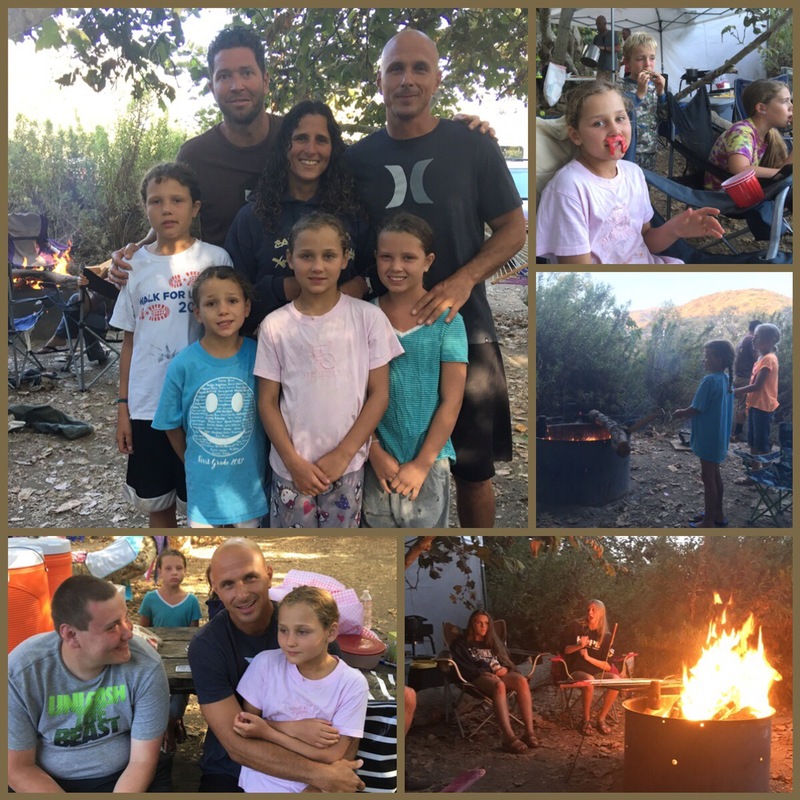 We always try to get the same campsite every year! 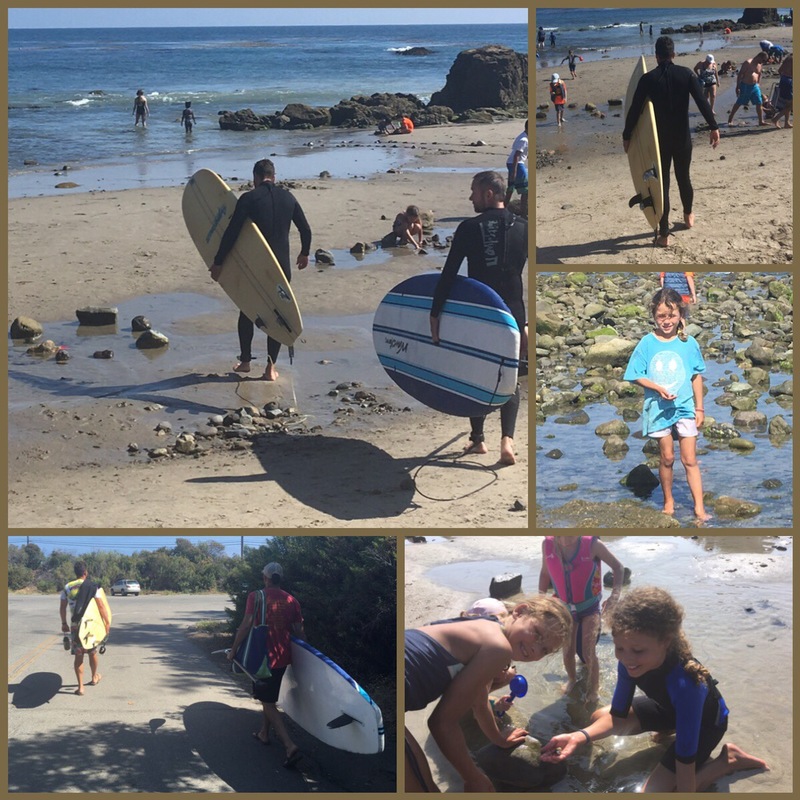 It is the best one at Leo carillo. Angela Chambers and her kids met us shortly later at the campsite. 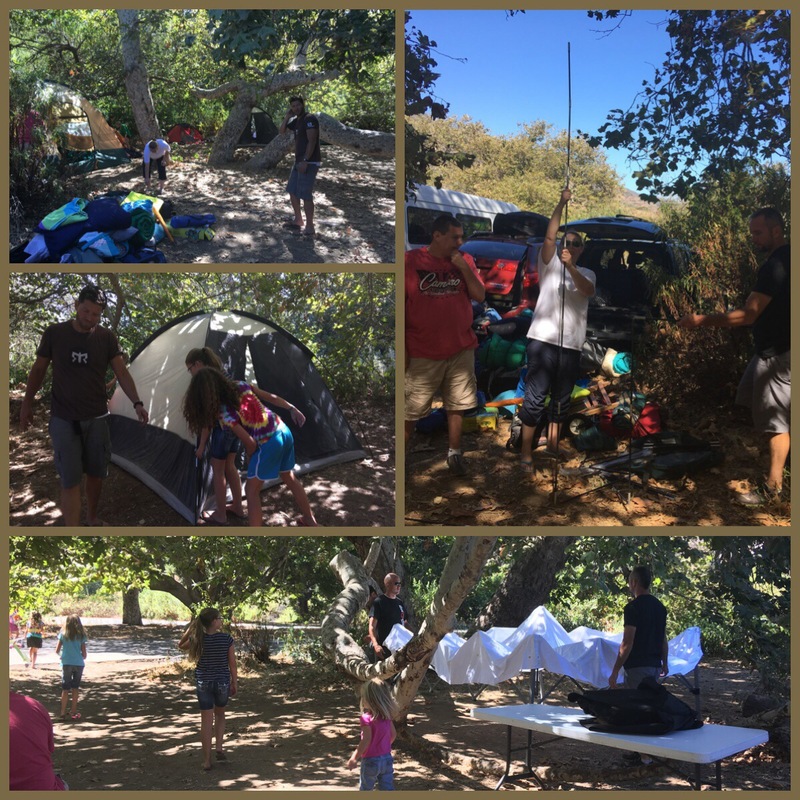 We set up camp quickly… and headed to the beach, well after Corom “rested” for a little bit. 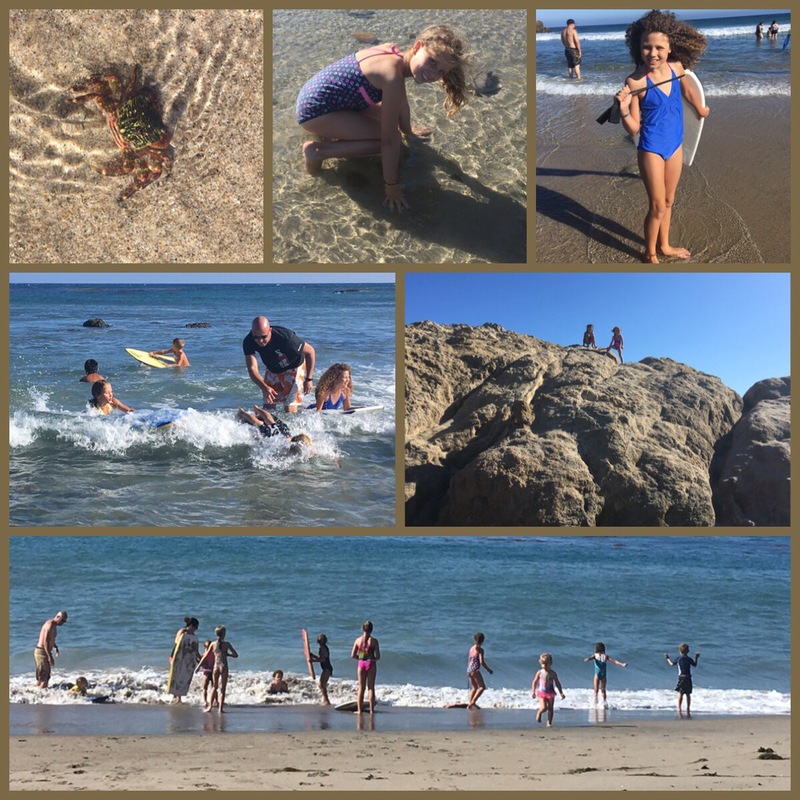 The beach was perfect this time of year!! (Mike, I love that you are in the background picking your nose!) The 1st night we were there we walked down to the beach looking for the Grunan Run. It was a full moon and during the summer months, the grunan fish come out at certain times to lay eggs on the sand. 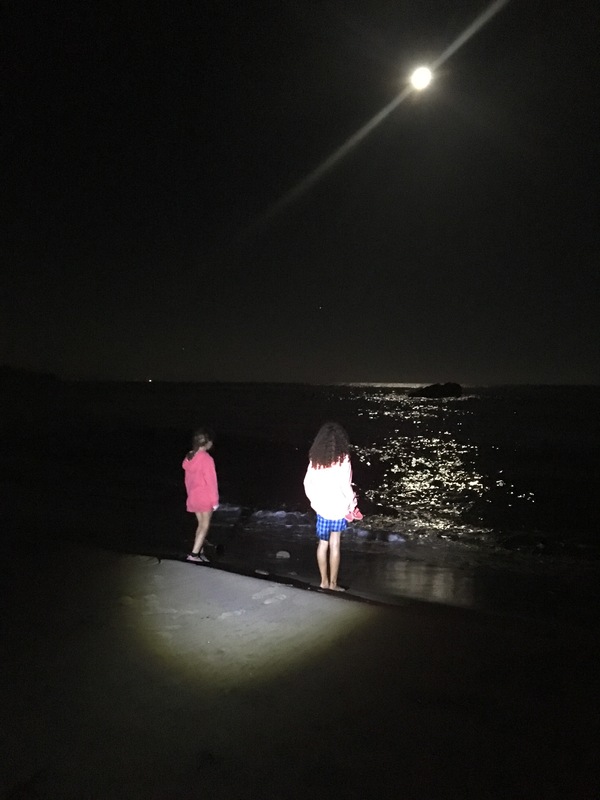 We had no luck seeing them but it sure was a nice night for a moonlight walk on the beach. 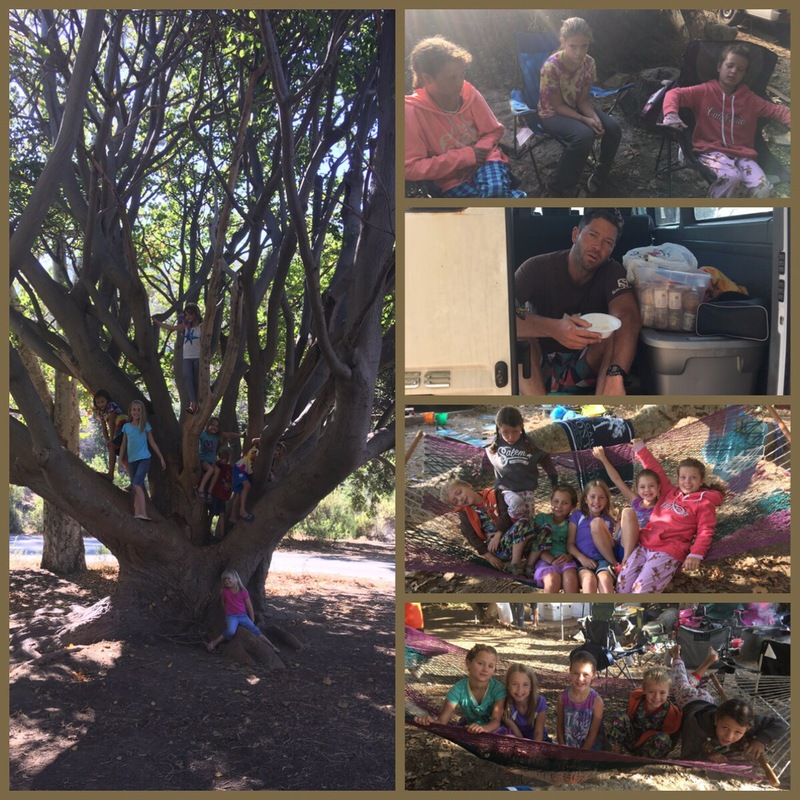 Tuesday morning, the kids played around the camp for a while and it took Corom a little while to wake up… Our campsite is so awesome! 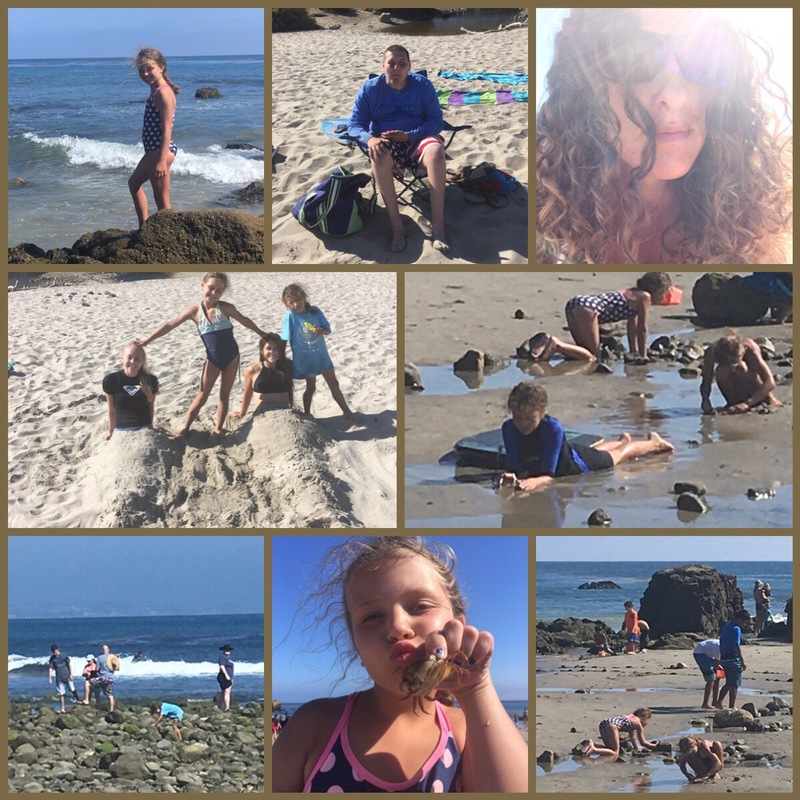 Then it was beach time for the 4 families. 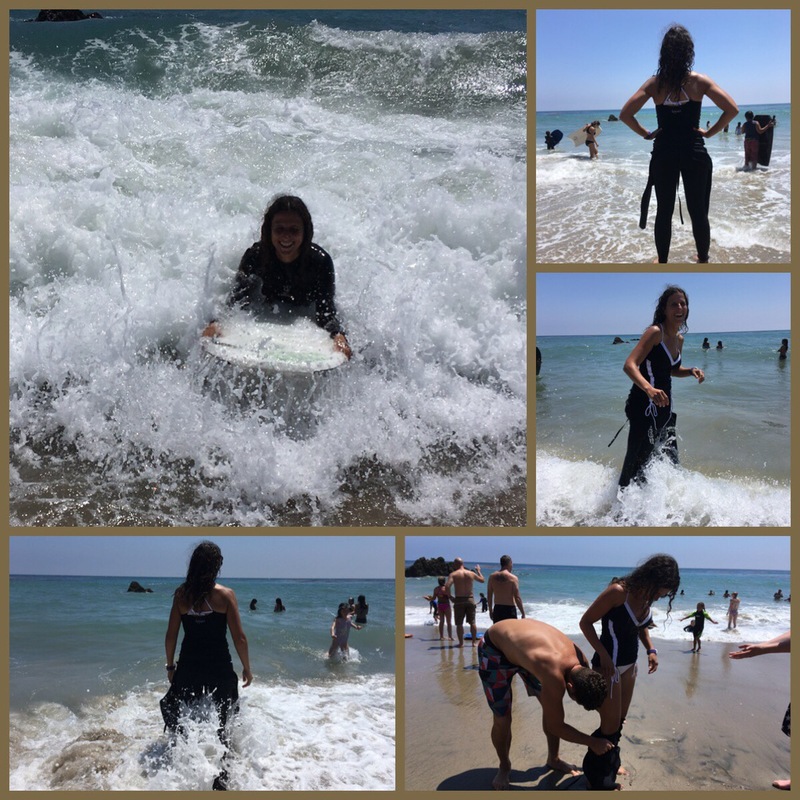 I actually got in the water and boogie boarded this year. It was so much warmer in August then June when we usually go on this annual trip! 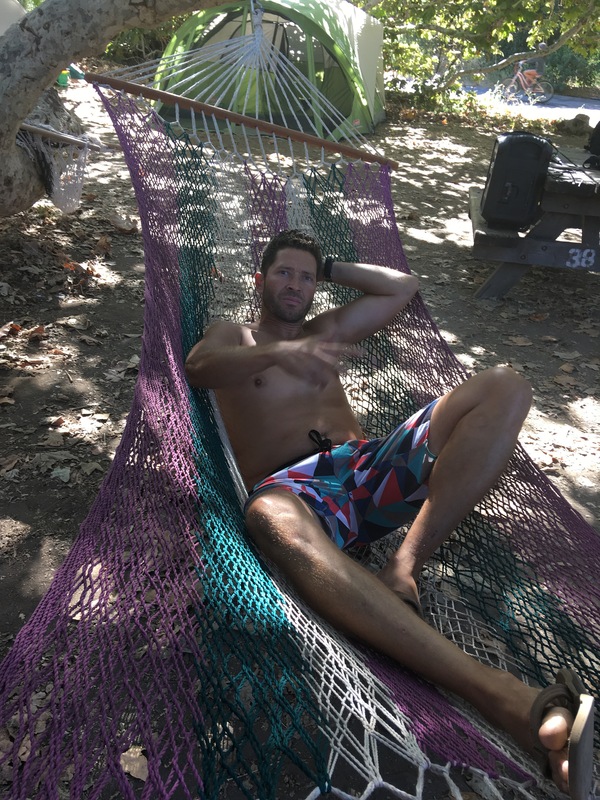 I had a blast… this is something I need to document. 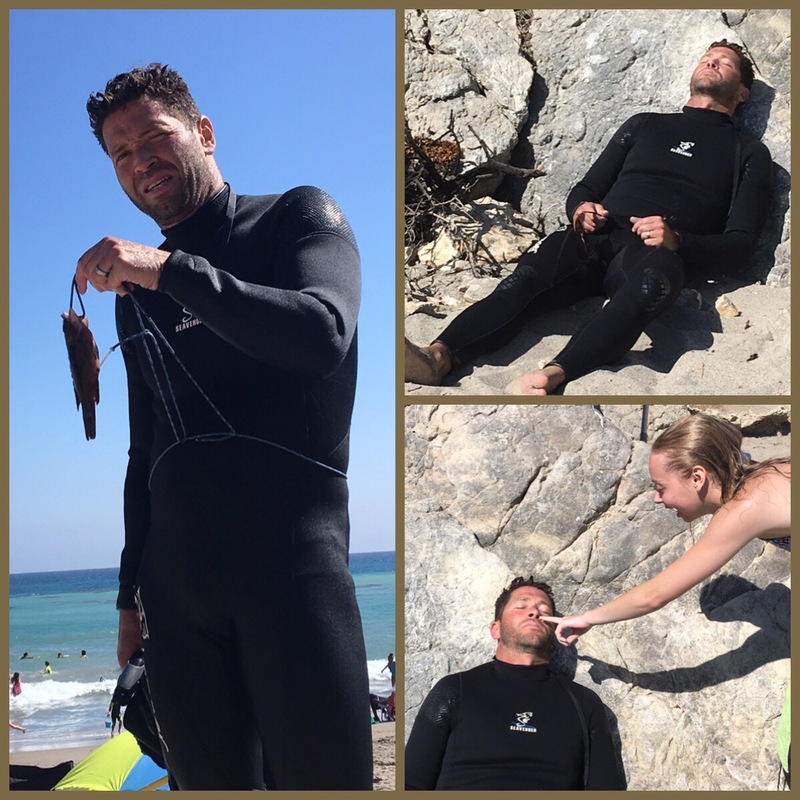 😉 Corom had to help me get the wet suit off.. that thing was a bugger to get off. 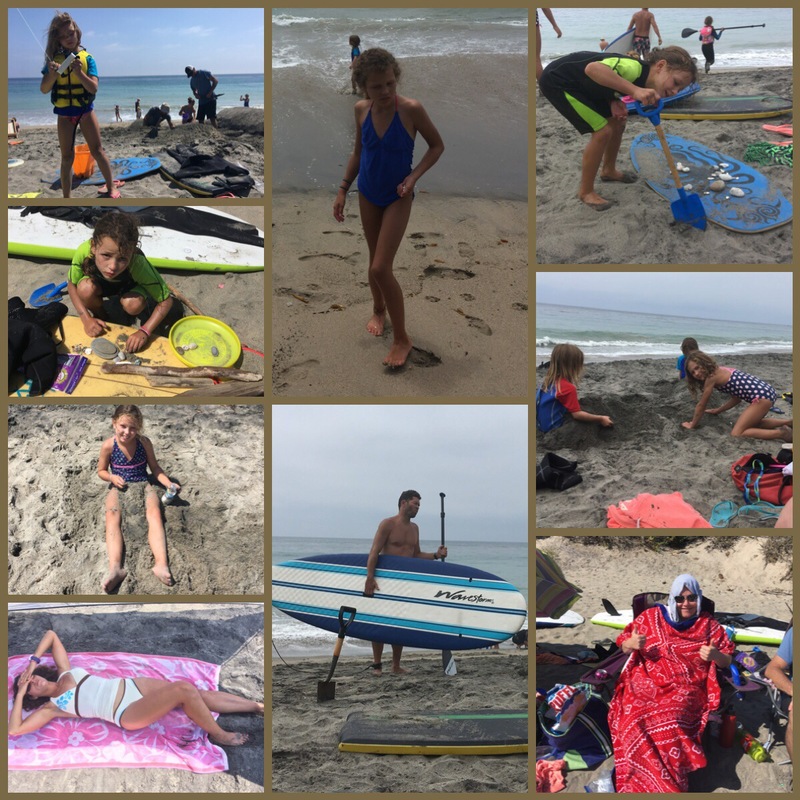 All the kids had a blast, too, with boogie boarding, flying kites and just playing! We were tired by the time we got back to camp! Had a fire and then went to bed. 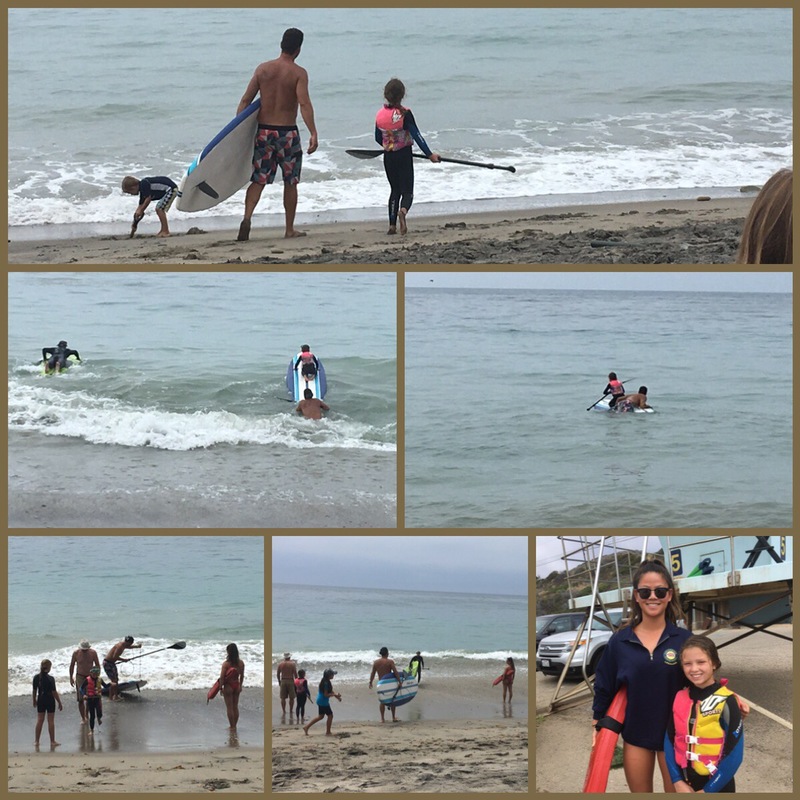 Wednesday was pretty much the same… a whole lot of fun and relaxing! Corom, Mike and Bart said they were going to catch us dinner for the night. They took their spears and headed out to the ocean. They were gone for a good couple of hours… They came back with a whole lot of dinner!! It was so much work bringing that monster fish back that Corom slept for the next hour in his wetsuit. 😉 Us ladies had a good laugh but the guys didn’t care about not catching much. 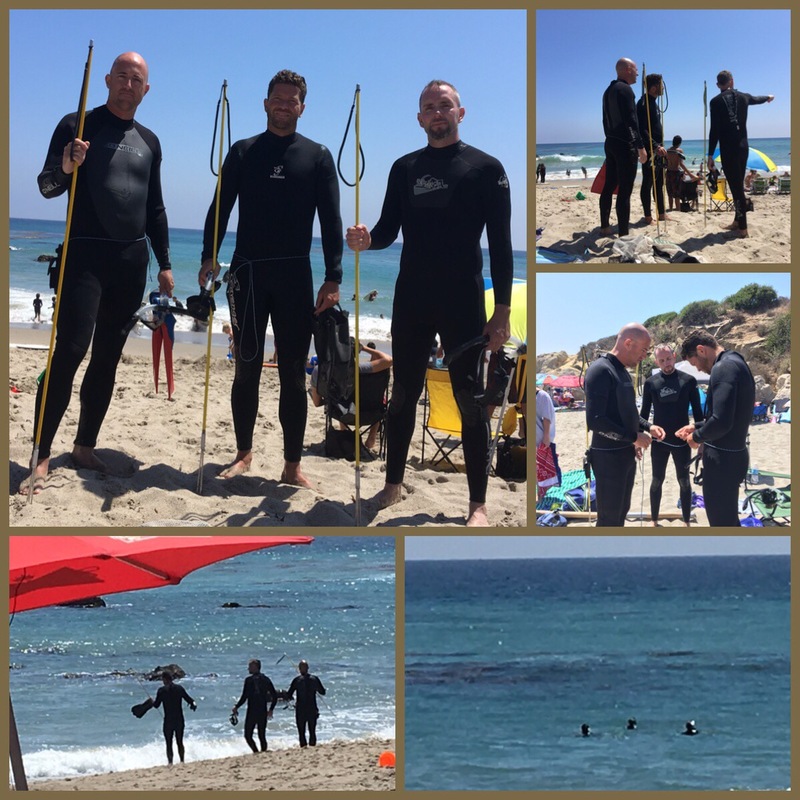 They love spear fishing! 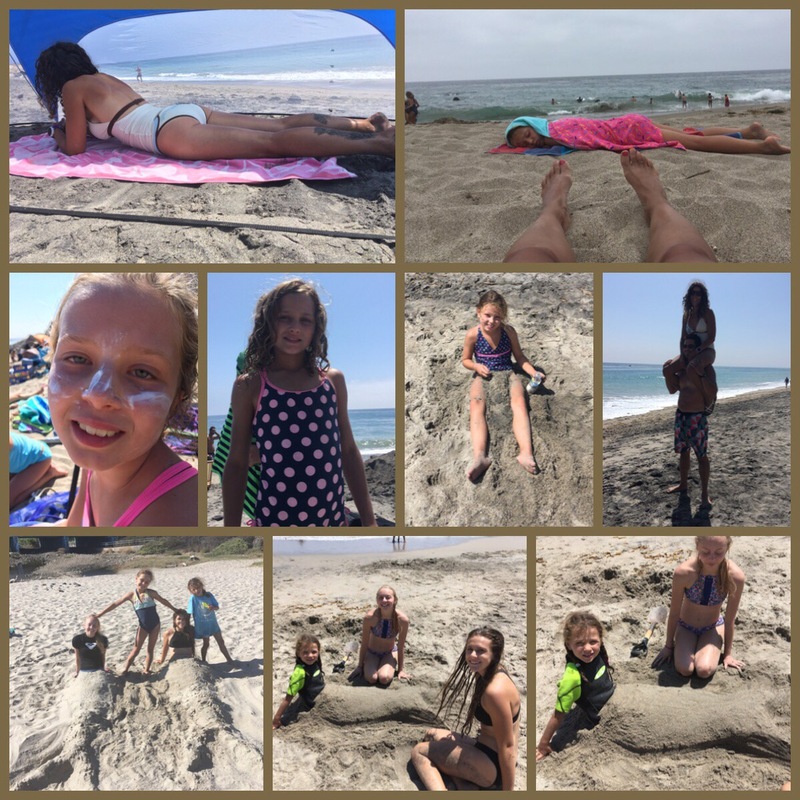 We played games on the beach… and built a huge sand sculpture. 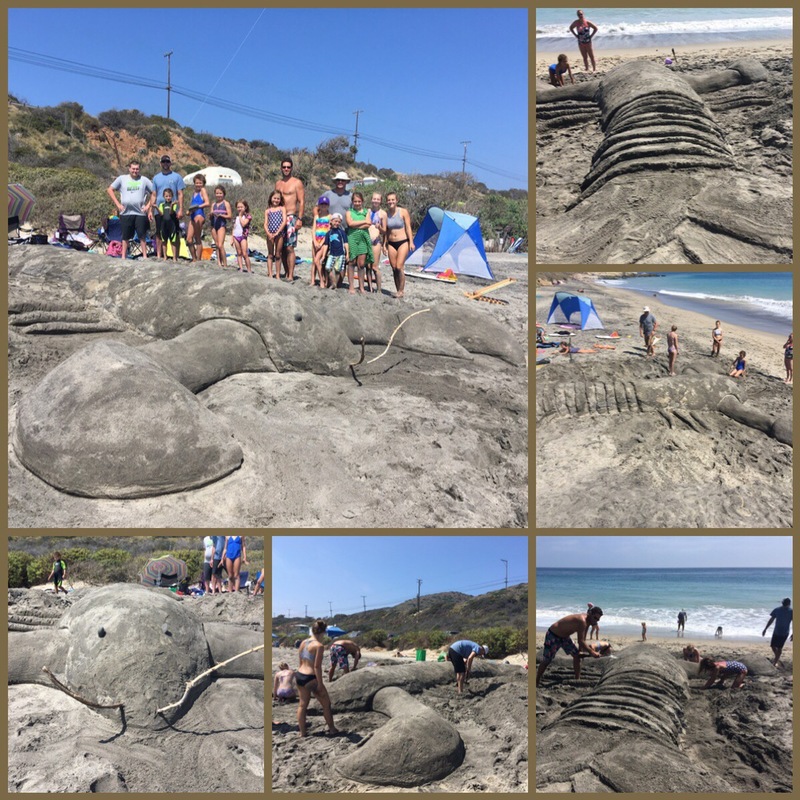 Every year the men and children pick something different to sculpt. This year it was a… lobster. 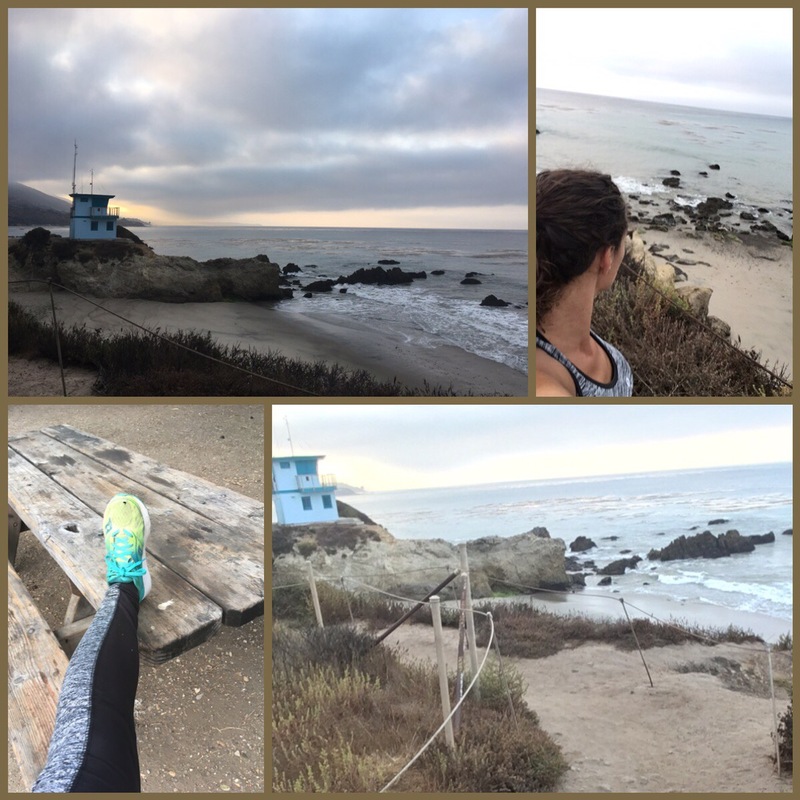 😊 I did get up Wednesday morning to try to go for my 1st run in a long time. It was absolutely beautiful but my run only lasted 15 minutes. 😞 I hate injuries!!! My knee is still bothering me and I have no clue what to do about it (we are going on the 3rd month)! 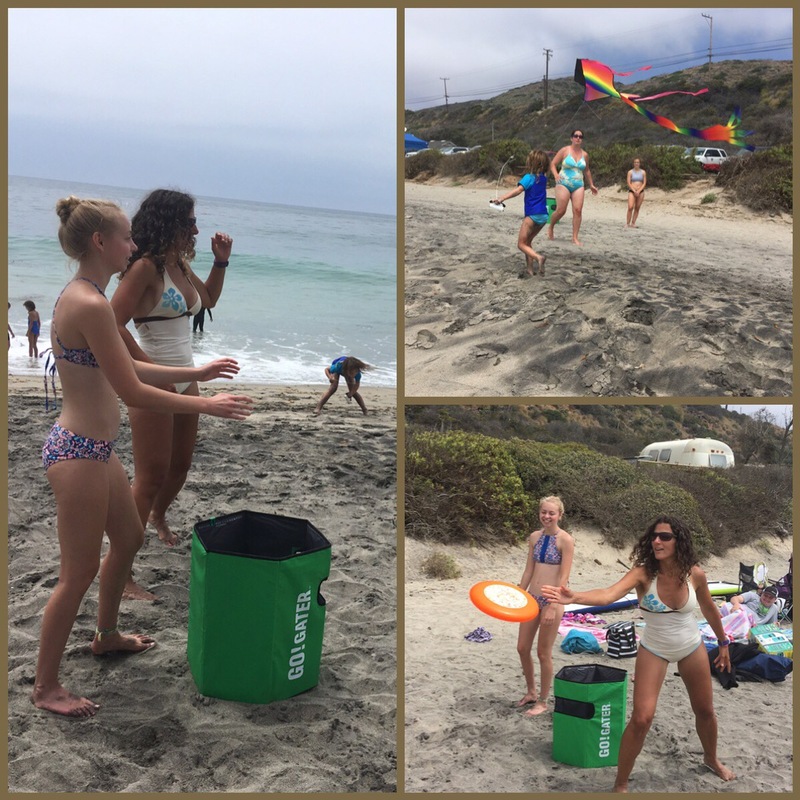 More fun pictures in the sun! 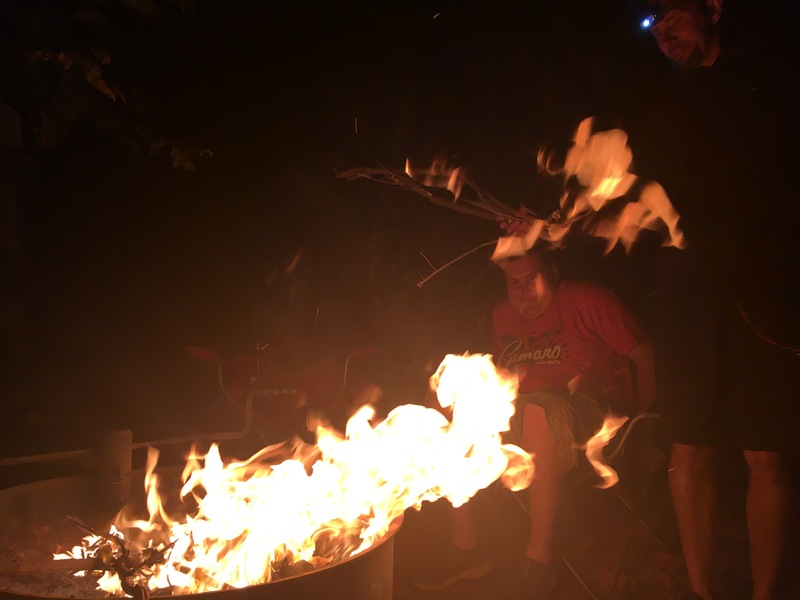 My brother was able to pop in and visit on our last night camping (he only lives 20 min away, so I would have been mad if he didn’t). 😉 It’s always good seeing him! We made a “special” chocolate, oatmeal, graham cracker, fruit pancake for this little guy. We were celebrating his birthday. 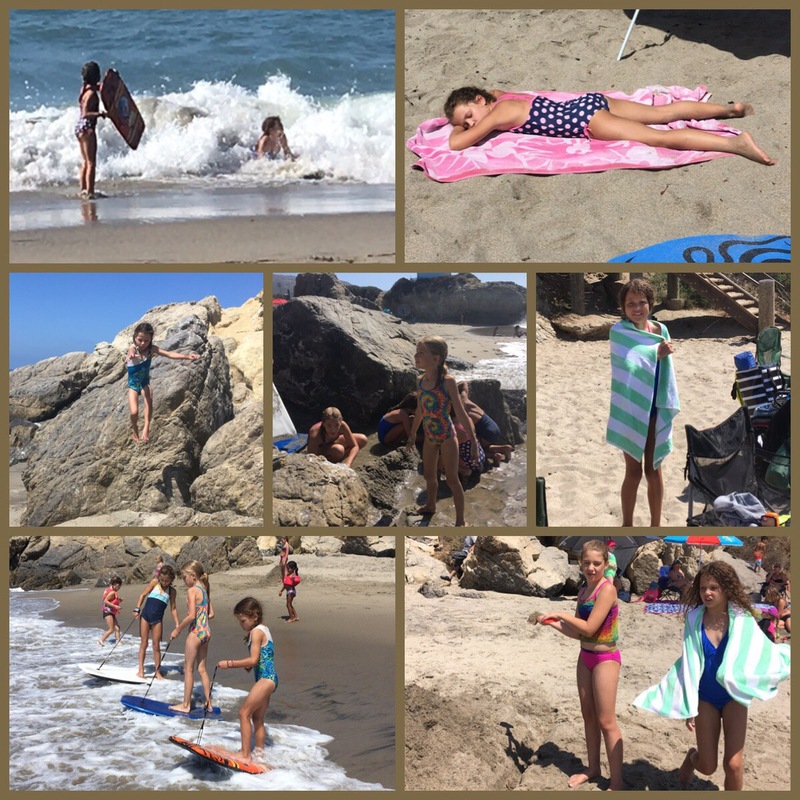 Last day at the beach! 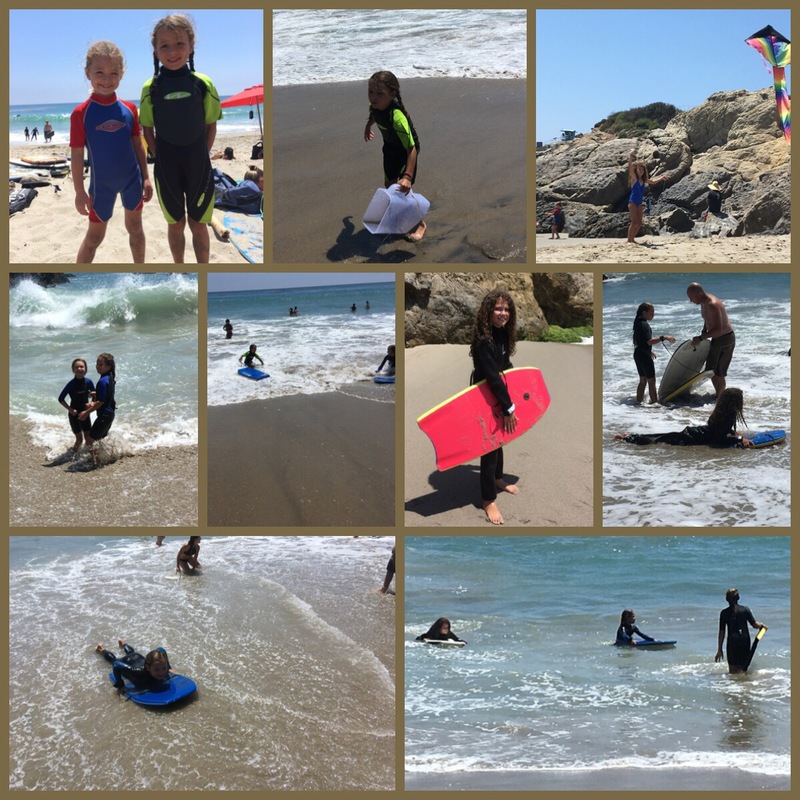 More swimming, boogie boarding, looking for sand creatures, sand sculptures and relaxing. 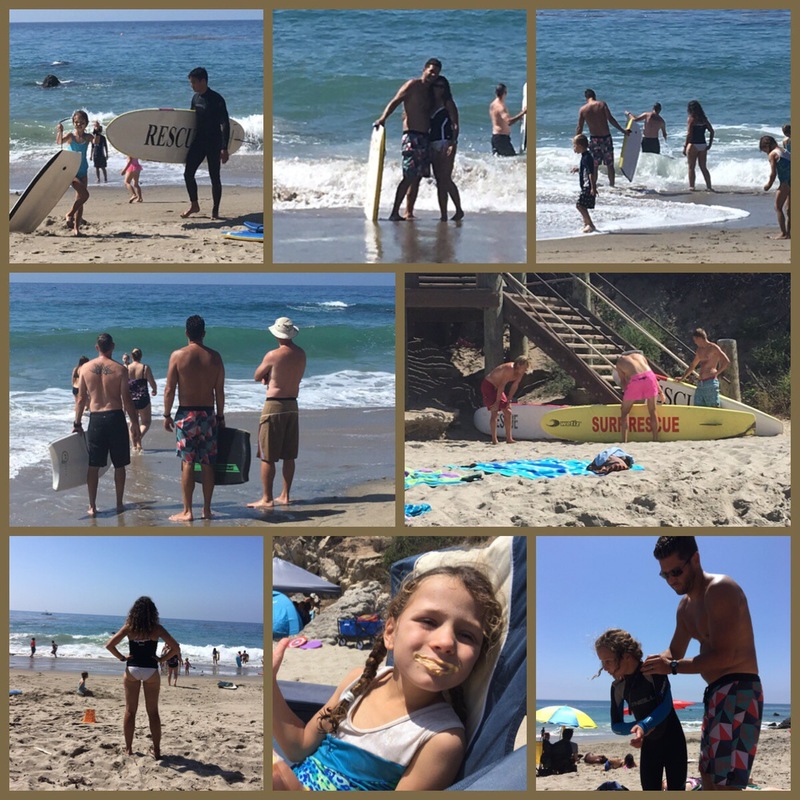 The boys went out to try to surf for a little while and then shortly after they returned we went back to camp to clean up. The week went by way too fast. It is always hard coming home. We left Thursday evening (around 9) and drove through the night. By 8 a.m. Friday morning, we were home.